Severian, a torturer’s apprentice, is exiled from his guild after falling in love with one of his prisoners. Ordered to the distant city of Thrax, armed with his ancient executioner’s sword, Terminus Est, Severian must make his way across the perilous, ruined landscape of this far-future Urth. But is his finding of the mystical gem, the Claw of the Conciliator, merely an accident, or does Fate have a grander plans for Severian the torturer…? Shadow & Claw collects The Shadow of the Torturer and The Claw of the Conciliator. Sword and Citadel collects The Sword of the Lictor and The Citadel of the Autarch. Each of the four novels that makes up the series is available as an individual eBook, too (click on the titles). I’ve never read the series, despite it being recommend to me on multiple occasions. Maybe these new editions will be a nice way for me and a number of other new readers to try the series. 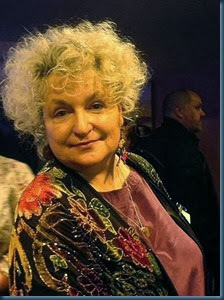 Let’s start with an introduction: Who is Pat Cadigan? I’m a recovering American and the mother of a grown son. I’ve lived in North London for almost eighteen years. Most people would know me as a science-fiction writer. All my novels are hard science-fiction (meaning they’re based on things that are possible now). 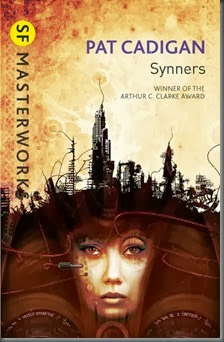 I’ve won the Arthur C. Clarke Award twice, once in 1992 for Synners and again in 1995 for Fools. I’ve won the Locus Award three times: once for my short story, “Angel,” once for my collection Patterns, and most recently for my novelette, “The Girl-Thing Who Went Out For Sushi,” which also received the Hugo Award in 2013. In between, I had cancer but it’s gone now. I keep busy. I thought we’d start with your fiction: Your latest novellette (or chapbook, if you will), Chalk, was recently published by This Is Horror. How would you introduce it to a potential reader? Is it part of a series? It’s not part of a formal series, but it is one of several pieces of short fiction set in the neighbourhood where I grew up in Massachusetts. They’re generally set in the early 1960s and while they contain autobiographical elements, they are not the story of my life. I just borrowed a few things to riff on. Or riff off. What inspired you to write this particular story? And where do you draw your inspiration from in general? Michael Wilson asked me if I’d be interested in doing a chapbook and I said yes. I’d never done a chapbook before and I’m always up for a new experience. I read the previous ones from This Is Horror and found them all satisfyingly variegated (and quite good). So I prayed to the Story Fairy (Dept. of Horror) and this is what I got. I know how that must sound. My creative process is a black-box operation and I’ve been at this long enough (34 years professionally) to know what works best for me: tell brain to think, consider the elements involved – genre, length, my personal taste; allow the associations to marinate overnight in REM sleep; return to task the next day, try writing a paragraph, see what happens. The first paragraph written isn’t always the first paragraph of the story and it usually undergoes editing if not outright retro-fitting, depending on what I discover in the course of writing the story. Paragraphs that don’t work end up in my fragment box for recycling. I had a library card for longer than I can remember. My mother would take me to the library with her and find books to read to me. Eventually, I learned to read myself and discovered that all the cool stuff was in the science fiction section. In those days – when dinosaurs roamed the net, before the discovery of flame – the genre wasn’t as stratified as it is now. 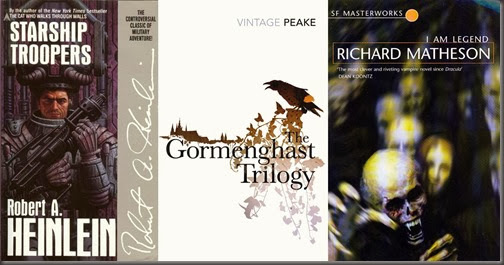 Everything was science fiction – Heinlein, Bradbury, Clarke, Tolkien, Mervyn Peake’s Gormenghast books, Richard Matheson, Jack Finney – anything with a fantastic element was science fiction. Judith Merrill used to edit a best-of-the-year anthology that was the same way – pure-quill hard SF by Mack Reynolds and Walter M. Miller, Jr., sat cheek-by-jowl with oddities from Bernard Malamud, John Cheever, and Tuli Kupferberg. My ambition was to be good enough to get into one of those anthologies. I still want to be that good. I love being a writer and I wouldn’t do anything else. For most of my life, I’ve had additional responsibilities – school, an outside job, motherhood, looking after my aged parent – so I learned to write as and when: late at night, early in the morning, lunch hour, weekends, sometimes reaching around the baby napping in my front-carrier to the keyboard, in hospital waiting rooms, on the train. If you really want to do something, you figure it out. I don’t remember a time when I didn’t want to be a writer. As soon as I knew books and stories were written by people, I knew I was one of those people. My mother gave me her old Underwood typewriter – it was a monster. It must have weighed about five hundred pounds. You had to really bang on the keys and all the capital letters were half a line up from the rest of the word. I started out at 3 or 4, always typing “Chapter One” first. Finally my mother suggested that I should maybe try writing a short story first to get the hang of storytelling. But I preferred trying to write novels. Eventually, I hand-wrote several novels that were my cracked version of a mystery series. It was a kind of a cross between Nancy Drew and Trixie Belden, with occasional supernatural flourishes. I was very disciplined. Every chapter had to run both sides of the page, no less, no more. 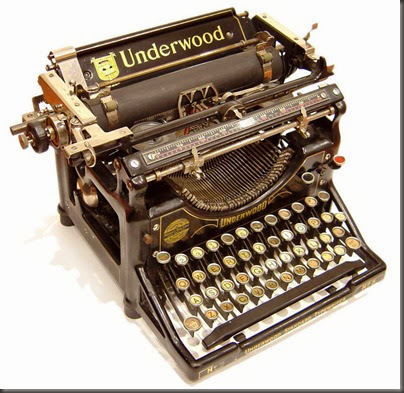 Later I had a sort of Doc Savage in space thing going for a while – by then, my Aunt Loretta had given me her portable typewriter, which was a lot easier on the fingers than the Underwood. Then sometimes, when my mother worked weekends, I’d go with her. She worked in the admitting office of a hospital and I wasn’t supposed to be there but as long as I sat in the back office and kept quiet, nobody minded. 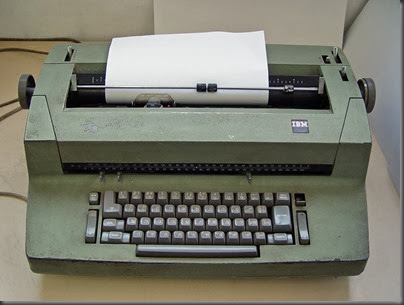 There I met my first IBM Selectric; I couldn’t imagine a machine more advanced, more futuristic. Selectrics were so expensive back then, only businesses had them. Somewhere in there, I read the Isaac Asimov issue of F&SF in which he talked about his early attempts at writing, including something he called The Greenville Chums At College. I was delighted; I could relate. I’d just left the Greenville Chums stage of my own development and I knew I would persevere. I love genre and I read for pleasure as much as I can. But I don’t think of my work as “fitting into it.” I write genre fiction because I love genre fiction. I don’t write critical essays and I don’t do reviews, so you’ll have to forgive me for not answering that question. People love genre fiction, in every medium – print (including e-print), TV shows, movies, and of course games (when was the last time you heard about a game that was all real, all the time?). If you want to see writers treated like rock stars, go to the American Library Association convention and watch how they react to children’s and YA authors. YA authors who work in genre get the most attention and adulation, because they keep kids reading. Fine art is fine art and I have drawn inspiration from it in many forms. But to be brutally honest, the things people internalise most come from popular culture, particularly the genre portion. Everything I Ever Needed To Know I Learned In Kindergarten was soon followed by Everything I Ever Needed To Know I Learned From Star Trek. Some people might scoff but people tend to take their cues from things they enjoy, that give them pleasure, more often than from things they’ve been told are good for them. So if people turn to entertainment, I try to provide good entertainment. I’m reading a lot of science and books about the solar system. I had to take a few days away from everything so I could read Doctor Sleep, and I’ll probably re-read some other Stephen King books. 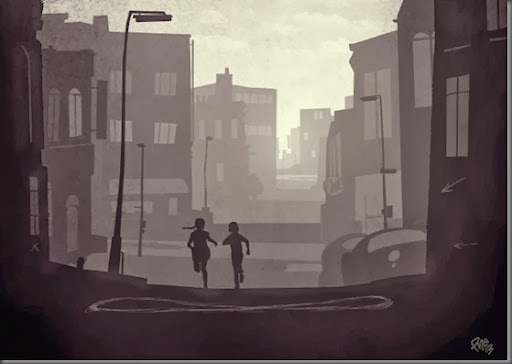 When it comes to writing about the human condition, nobody does it better. Even if the books themselves aren’t completely successful – which doesn’t often happen – they still contain brilliant passages of superb writing and characters that are as real as anything. And like everyone else, I’m waiting for the next Game of Thrones book from George R.R. Martin. At last, epic fantasy with a dirty face, dirtier clothes, permanent scars, and body odour. And occasional dragons. I read a lot of crime fiction and thrillers, too. I like Nicci French and Minette Walters, among others. 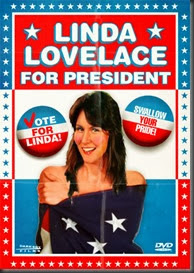 I was an uncredited (and fully-clothed) extra in Linda Lovelace For President. The London Worldcon. That’s going to be great! Be sure to follow Pat Cadigan on Twitter and Live Journal; and also This Is Horror on Twitter on Facebook. 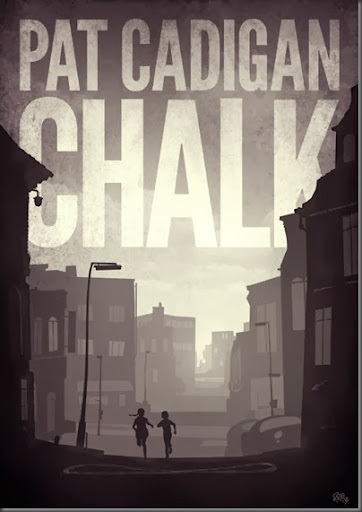 Chalk is available to buy in print and eBook formats.